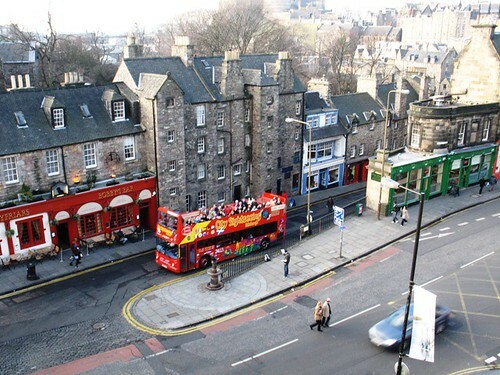 A city that has seen its fair share of history, you’ll find culture in every nook, cranny, and close (Scots for “alleyway“) in Scotland’s capital city of Edinburgh. Regardless if you find yourself here for any of the summer festivals – such as the world’s largest arts festival, the Edinburgh Fringe – or exploring during quieter times, you’ll find plenty of fresh perspectives and sparks for creativity. Here are some of the most inspirational spots in Edinburgh. 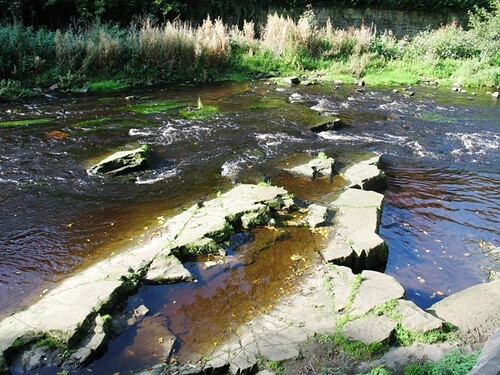 This tiny river, which snakes around the edge of Edinburgh, was once a bustling economic area, with textile mills lining the edge of the stream. Now it’s a quaint walking path, with the man-made waterfalls (tiny!) and rushing waters drowning out all the surrounding noise. It’s even a nice walk in wet weather, with much of the path protected by trees. 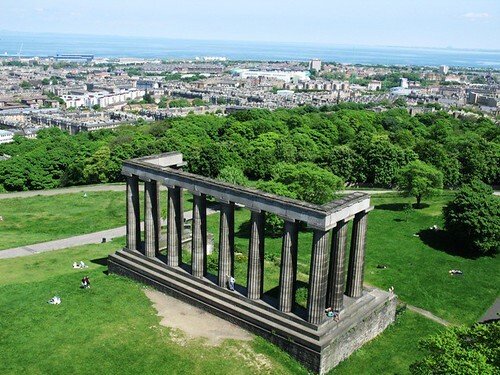 Calton Hill is not a hidden sight – as one of the largest hills right smack in the centre of Edinburgh, you can’t miss it. However, most visitors zoom right up, take a photo, and zoom back down. I encourage you to linger a little longer – the hill has not one but two of the city’s most picturesque cemeteries, as well as a row of homes and an old city school that were designed (and in some cases, built) by Edinburgh’s most famous architects. The Elephant Cafe is one of the many “literary” venues in Edinburgh – they range from pubs to cafes to restaurants, each with some interesting tie to an author or publisher. J.K. Rowling, known for her now ubiquitous Harry Potter series, is said to have often written here, and judging by the view of Edinburgh Castle (especially at night), you can’t blame her. Be sure to sit at one of the tables with drawers and check out what’s tucked inside of them. Arthur’s Seat is one of Edinburgh’s popular climbs, being the highest point in the city. (Do it – but careful, it’s always windy, and slippery especially when it rains.) Would you believe a train line used to wrap around the base of this volcanic crag? Just under the main intersection by Holyrood Park Road there’s a path down to a bike trail that will allow you to circle back under the Innocent Railway Tunnel. 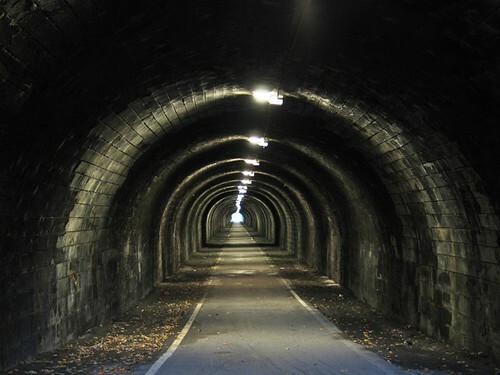 This tunnel was built for the trains, hence the name, and was one of the first commercial train lines in Scotland. In fact, there were quite a few more train stations in Edinburgh and train lines throughout the region – back then they functioned more like an overland train system. These publicly accessible gardens are right on the Royal Mile, Edinburgh’s busiest street, and yet the entrance is so subtle you can easily miss it. (You can find “Dunbar’s Close” on a map, but a good waymarker is the Starbucks, which is just across the street. Yes, really.) 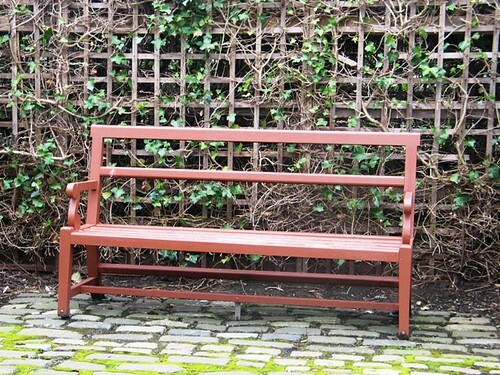 These gardens have a couple of seating areas and offer fabulous views of Calton Hill. It’s also strangely quiet, despite all the busy passing traffic. Never were there a better place to sit and enjoy a coffee – Starbucks or otherwise. If food could ever been inspiring, then the piles of cakes and sandwiches at eTeaket certainly match the description. The pale blue facade beckons those who pass by while exploring the shops and bars on Princes Street and Queen Street, but skip all that and come sit in here to enjoy fantastic teas – in those wonderful non-matching cups, some with the gold rim – and relax over jam and scones, cakes, sandwiches, soups, or whatever you fancy. All that is missing is your grandma. 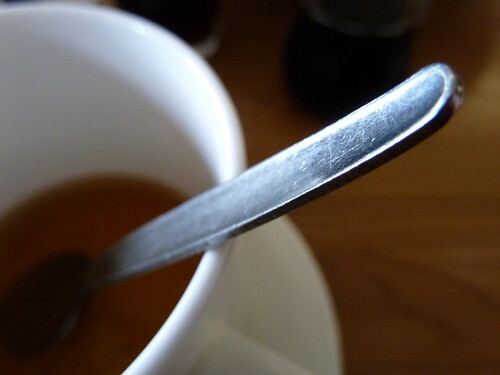 Nothing beats a good cup of tea – nothing. 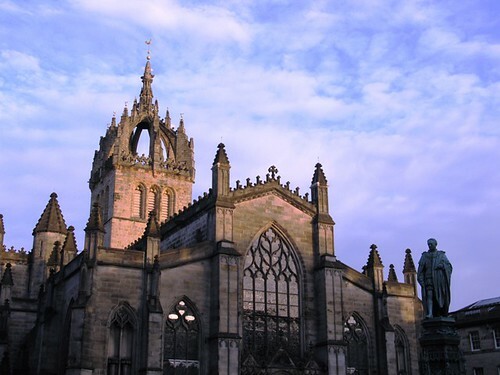 One of the Royal Mile’s most imposing monuments, brave those crowds outside and step into the cathedral’s recently-restored nave. Breathtaking will be the only thought on your mind as you contrast the now vividly-blue ceiling with the dark black stone walls. Wander as you please, but don’t miss a peek into the Thistle Chapel – see if any of the church’s free docents are giving tours, as the history in here is absolutely fascinating. Last, but certainly not least, on my list of inspirational spots in Edinburgh is The Gallery of Modern Art, just across from the Dean Gallery. It may feel incongruent to enjoy modern art in a city surrounded by such historic architecture – even this building itself is rather historic – but the contrast makes for such a vivid experience. 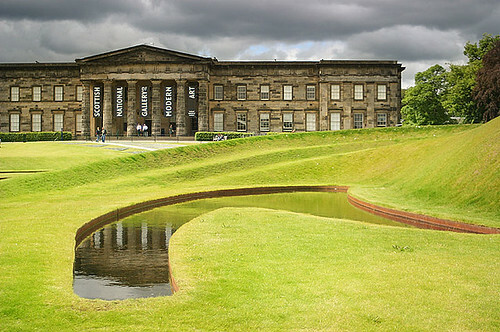 The grounds of the museum also house outdoor installations, so don’t miss those. You can also walk back into town from here along the Water of Leith, and perhaps if you’ve still not had enough inspiration, you can stop by Edinburgh’s other modern art museum, the Fruitmarket, right by Waverley train station. No matter if you’re into art, the outdoors, or good food/drink, Edinburgh is an inspiring capital. Come prepared to be wow’ed – and don’t forget your camera. All photos by author except Flickr Creative Commons photos by sondre (eteaket), Martin Burns (modern art gallery). About the Author: Andy Hayes is the author of the popular iPhone app Edinburgh Secrets and while now based in Portland, Oregon, he continues to blog about the city on edinburghguides.com.